Home / News / Decadence Dogs, Proud Colors, & Marching in the Streets- It’s Decadence Y’all! 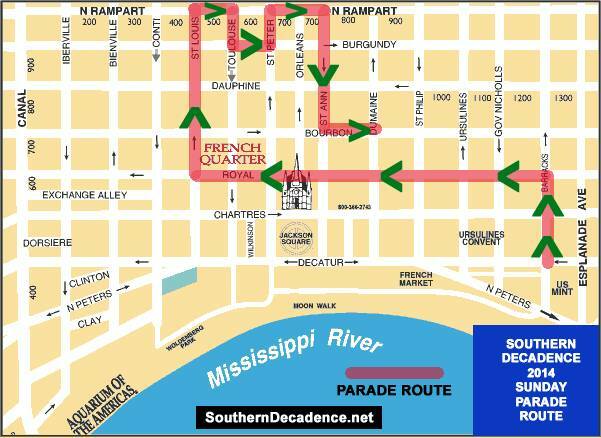 Decadence Dogs, Proud Colors, & Marching in the Streets- It’s Decadence Y’all! We had so much fun last night at Dat Dog Frenchmen St that we’re going back tonight! Lots of folks, familiar faces and new, came out to support us by buying a Decadence Dog or pick up an LGBT Center tee shirt. We’ll be there again tonight Saturday August 30th- come enjoy a Decadence Dog, with proceeds going to the LGBT Community Center of New Orleans- meat & veggie options available. You can support us anytime during their hours 11am-3am, but we’ll be there in person after 5. Details on Dat Dog Frenchmen St’s location and hours are on the Facebook page here. 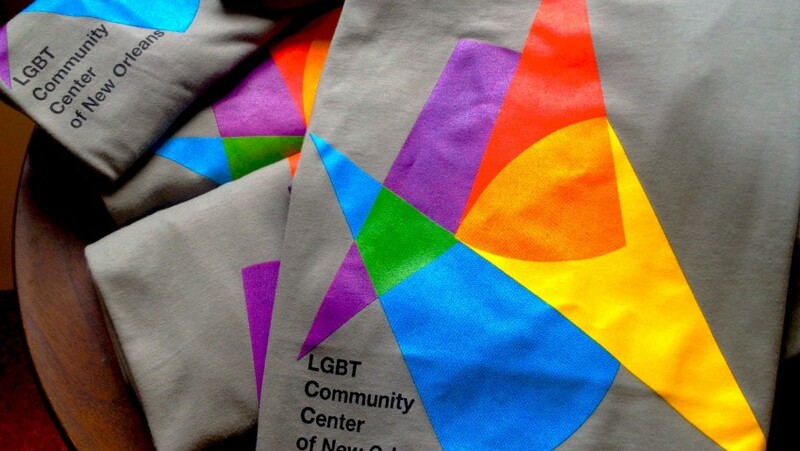 Our soft and colorful tee shirts will also be available. The shirt is printed on sustainable Alternative Apparel shirts with our logo on slate grey. 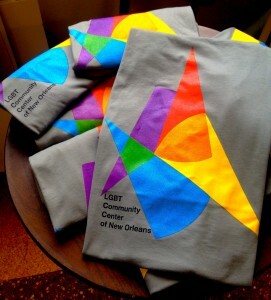 These shirts are the first batch with our new logo and we have a limited number available- so hurry to get yours!. For Southern Decadence weekend we are selling in-person only so get yours at Dat Dog tonight or at the traditional SoDec walking parade on Sunday! Can’t meet us at the start? Catch us on the route. Any and all welcome- wear your proudest colors!